Henry L. Whelan, 91, a World war II Navy Veteran died September 27, 2018 at his home. Born in Paisley, Scotland he lived in Lyndhurst before moving to Sea Girt 35 years ago. He was a member of the Knights of Columbus , Queen of Peace Council #3428 in North Arlington. He worked as a supervisor for P.S.E. & G in Secaucus for 37 years before retiring 35 years ago. 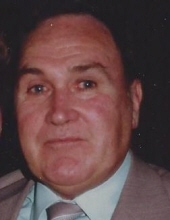 He was the beloved husband of Valentina (nee Ziemak), the cherished father of Patricia Wynne (William), Gloria Nichols(Robert), Barbara Rosar (Edward), Stephen Whelan (Nanci) and the late Christopher Whelan, the adored grandfather of 6 grandchildren and 5 great grandchildren, and the loving brother of Winifred Schoendorf and Mary Sisco. The Funeral will be from the Parow Funeral Home, 185 Ridge Road, North Arlington on Monday, October 1, at 9 A.M. thence to Our Lady Queen of Peace Church, North Arlington for the Funeral Mass at 10 A.M. The interment will follow in Holy Cross Cemetery, North Arlington. Visitation will be at the Funeral Home on Sunday 2 to 6 P.M. In lieu of flowers please make contributions in memory of Henry to VNA of Central Jersey Foundation, 23 Main Street, Suite D1, Holmdel, N.J. 07733. To send flowers or a remembrance gift to the family of Henry Whelan, please visit our Tribute Store. "Email Address" would like to share the life celebration of Henry Whelan. Click on the "link" to go to share a favorite memory or leave a condolence message for the family.